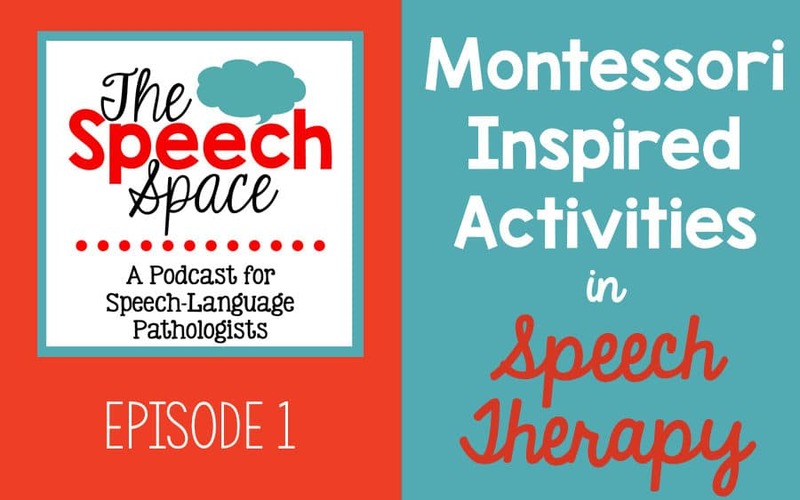 This is the very first episode of The Speech Space podcast. Thanks so much for stopping by to check it out! 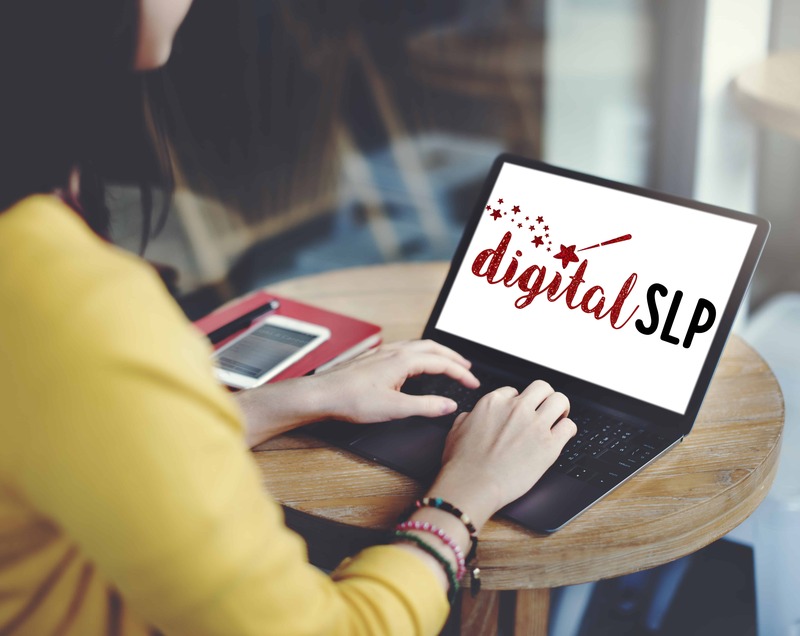 Are you looking to do something new in your speech therapy sessions? Learn how to incorporate Montessori inspired activities! The Montessori method is an area of great interest to me and I’ve actually been using it in my home lately. 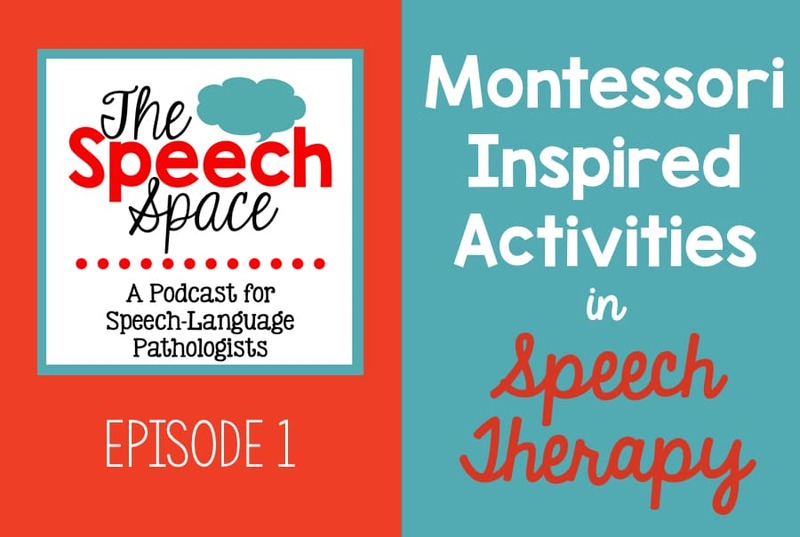 It got me thinking that it would be great to use some of these activities in speech therapy too. 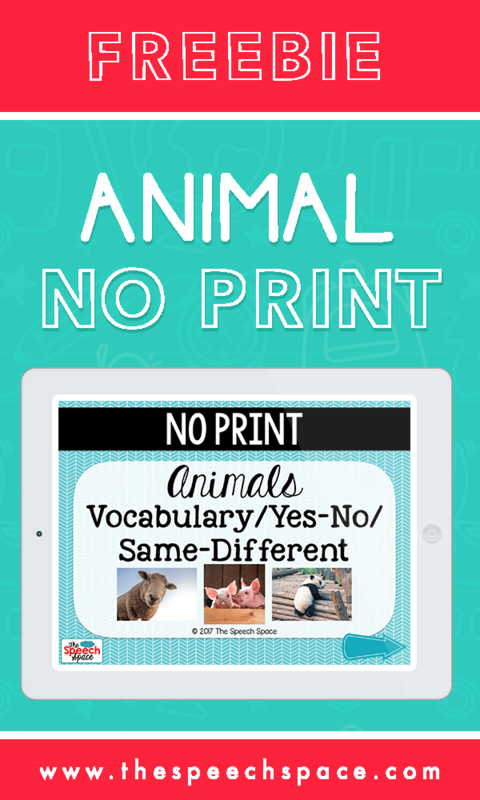 In this episode, I discuss three different activities, along with ways to use them to work on vocabulary goals. The links that were mentioned in the show are listed below for you to conveniently download the freebies that I spoke about. Thank you so much, Claudia. I really appreciate your kind words! Thank you for this podcast! I love Montesorri and try to include the activities as much as possible with my lower kiddos. One of their favorite activities we do in regards to the wet/dry is I have a set of rocks that have chalk board paint on them and then I let the kids write on the rocks (what they write depends on what their goals are- drawing letters, shapes, words or just making it dirty) and then they get to put the rock in a small bowl of water with a sponge and wash it and then dry it with a towel. They love it! You’re welcome, Rhonda! I LOVE that idea. Thank you so much for sharing it with me (and hopefully other readers will see it as well). I will definitely put it on my list of things to try. Thanks so much for listening!